Can you multi-task? I struggle with it. Sometimes as a working mum it's unavoidable, but I find it so much more mentally exhausting than focusing on one job at a time. Over the last few weeks I've been trying to sew in the kitchen so that I can build up a stock of scoured and mordanted cloth to further my plant dye experiments. I've been using my old hand-crank singer to sew strips from my scraps bin. I've enjoyed the pace to the work, but it feels like a self-indulgent project now term time has started again. 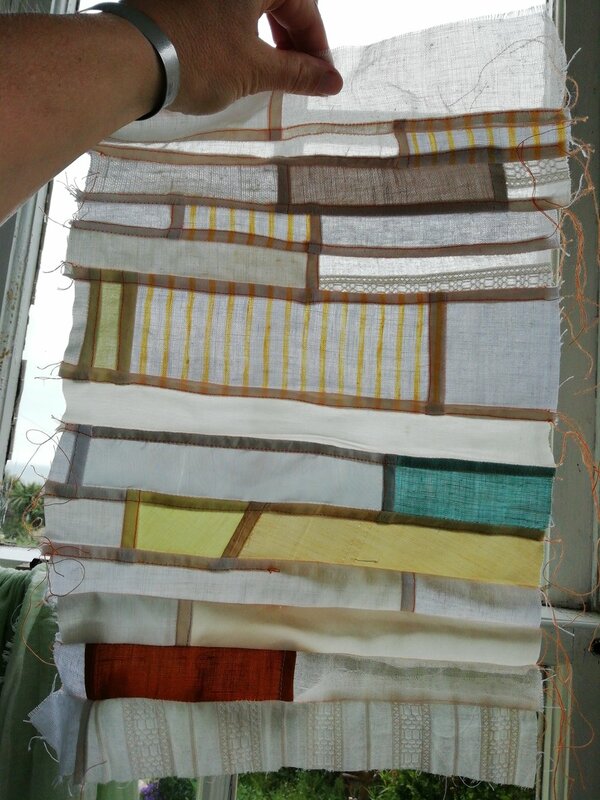 Block for a summer shade curtain. I have plans for making some simple 'shopper' style bags from more of my workshop scraps to take to my next event. I keep going to look at the piles of colour-organised squares, as if it'll suddenly be the moment to start making them. Heavier weight fabrics being selected for shopper bag. As I've really missed my workshop setup while I've been working in the kitchen, I think I'll have to plan my days so I can alternate product development with my dyeing work. 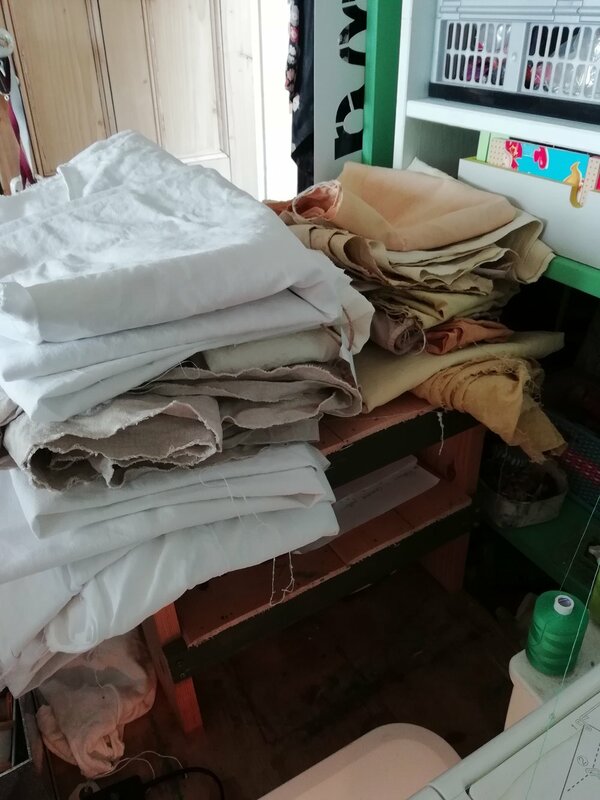 My small pile of scoured linens needs to grow, but you can see I get impatient and start cooking up dyes to use them straight away. How organised do you like to be? I would love to feel as if I'm going with the flow of life, allowing the materials and work more space, but I know that at the moment this makes me feel panicky and self-doubting, and I achieve a lot less over the weeks. September is the First Month of the Year. Summertime 2017 Making the right place in my life for running a business.